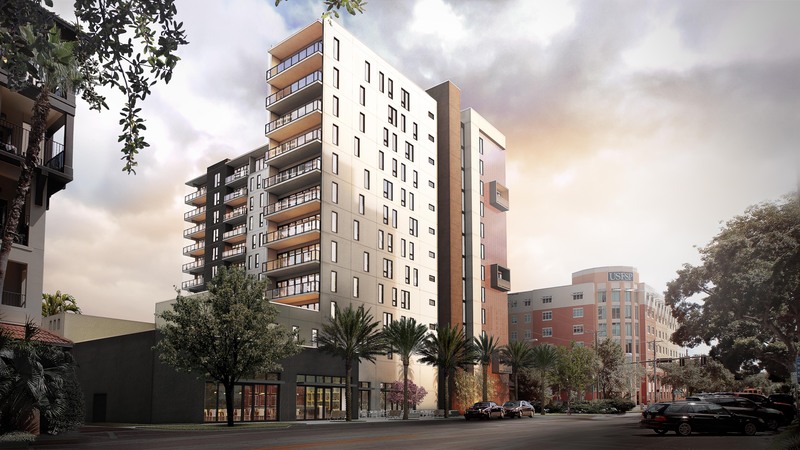 The Sembler Company recently announced that Bayfront Health St. Petersburg will occupy the nearly 3,250 square feet of ground-floor retail space in The Salvador, one of downtown St. Petes newest luxury condominiums. The 74 unit, green certified condo tower is located at 2nd St. S. and Dali Blvd. S. in St. Petersburg, FL. This is a great location for medical services, with a prime location and plenty of street parking as well as a garage nearby, said Steve Althoff, Semblers Senior Vice President of Leasing Residents of The Salvador will find that Bayfront is the perfect neighbor front door medical services, and resident friendly operational hours. Were thrilled that we found a local, high-quality tenant like Bayfront, said Bowen Arnold of DDA Development, developers of The Salvador. The medical offices will complement the building and become an amenity to the new condo owners. The Salvador offers a prime location for medical services: There are 2,400 residential units within a half mile of the property; 685 of those are under development and will add another approximately 1,200 people when finished. Downtown St. Petes 21,000 employees within one mile of the space are a significant boost to daytime traffic, which is already robust with visitors band residents.